Come tour the 20-30 school bus conversions and meet their owners at The Bus Fair. The main activity of The Bus Fair is the plethora of skoolies on display for the public to some tour. 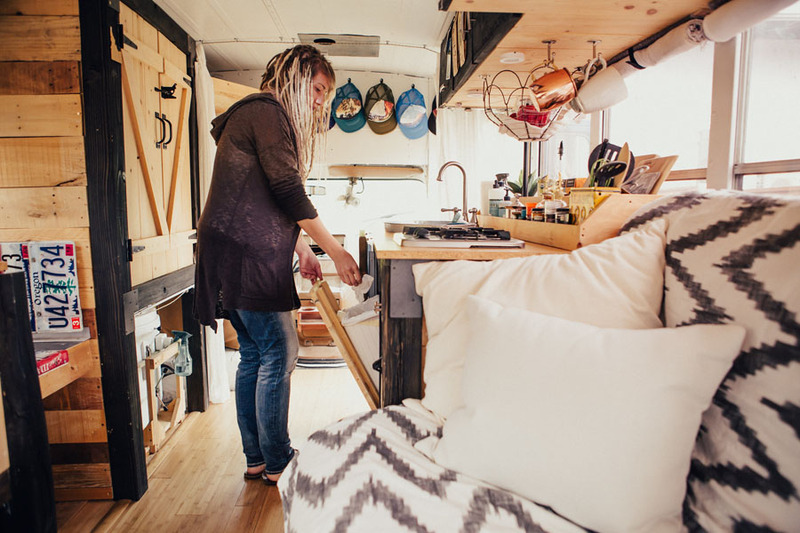 Meet the builders / owners who are weekend warriors, part time or living full time in their school bus conversion and ask questions. "Is that a wood stove?" "Does your composting toilet smell like doo doo?" "How long did it take you to convert it?" "How did you figure out how much solar you'd need?" Some of our skoolie owners are also artists and will be selling their artistic creations. One of our many goals of The Bus Fair was to help those travelling artists have a venue space to share their skoolie and their art. The artists range from jewelry makers, hat sewers, painters, soap makers, photographers and sketch artists. Heidi Miller will be showcasing her 95 short school bus conversion as well as her hand sewn trucker hats. Are you a skoolie owner who's interested in showing your bus? We have filled all of the spots for the skoolie show but if you'd like to get on the waiting list please fill out our application here and we'll be in touch. There are currently 20+ buses on the waiting list so if you really want to come to The Bus Fair we suggest getting a camping pass before they sell out!